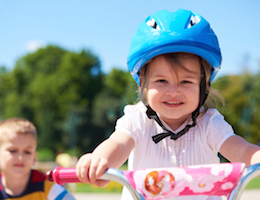 Example: When you buy a kid’s bike, for a little more money you can get a helmet and knee pads. You can get a skateboard value bundle with helmet and knee and elbow pads. This is good thinking. Kids, of course, should have a helmet. By offering it as part of a bundle, Walmart lessens the chances that the kid will just make do with a hand-me-down helmet or have the parents buy one later, or from another store. How can bodyworkers use this strategy? What do your clients need before or after a session? What is coming up (holiday or community event) that your clients spend a lot of time preparing for? Failing the approach of a holiday, etc., when is a slower time where you can encourage your clients to come in for special care? Certainly, you don’t have to get this involved. But it’s good to be singled out and offered something special. And you can do this without offering a further discount. Offer preferential times, extend your business hours (for a very short time), offer to mail your clients’ gift certificates to the recipients, give a few packets of special tea. You don’t need to lose money to make your best clients feel special. This is a great I idea but for my situations won’t work as they would have to leave my facility and to at nearest across the street, in the cold or rain or whatever the weather. I do not have facilities for hair care. No place to wash hair etc..
Maybe you could find a way to go to your client and then have them go to the salon to get her hair completed. Surely for that price, anyone would take the savings.